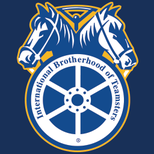 1.4 million working men and women are dues paying members of the International Brotherhood of Teamsters. Dues provide the resources to stand up for good jobs and benefits, decent working conditions and a better future for our families. That's why union members in private industry earn 38 percent more on average than than nonunion workers. They also receive 54 percent more in benefits. None of this would be possible without the strength that comes from our Teamsters dues. Management knows the power of Teamsters unity. That's why companies try to distract and deceive you with lies about union dues. FACT: Teamster Union dues average two-and-one-half times the hourly wage rate. For example, if you make $10 an hour, dues are approximately $25 per month. FACT: Initiation fees may or may not be charged depending upon the bylaws of the local union. FACT: Most of our dues stay right with the Local. Dues fund activities that give workers more power at the bargaining table, in the statehouse and in the community. FACT: The membership pays union dues to provide for organizing expenses, office equipment, telephones, training and regular administration expenses. Union dues help pay attorneys to assist in negotiations, grievances and arbitration. Membership dues also support research into companies and industries to gather information for negotiations and organizing. It also pays for accountants to analyze the company’s books. Members receive information about the expenditure of dues money at regular monthly membership meetings. The International Union publishes its annual audited financial statement in the Union magazine, which is sent to every member. Local unions file annual reports with the U.S. Department of Labor.